Superbowl XLVI has a Social Media Command Center. Seriously. While you’re tossing back chicken wings and yelling at the television screen, a team of 50 will be monitoring the digital field from the comfort of their 2,300 square foot space in downtown Indianapolis. Last year, 162.9 million people watched the Super Bowl, making it the most-watched event in TV history. It generated over 45 million tweets, plus socially-interactive advertisements and elaborate charts that broke trending topics down by players and geographic regions. And during the final moments of the game, Twitter users set a new tweets per second record with 4,064—the highest ever during a sporting event. 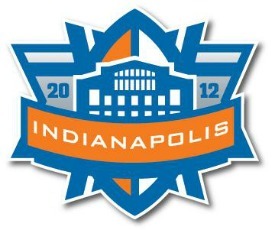 Not surprisingly, Super Bowl XLVI is expected to be the most social sporting event ever. The world’s hunger for connectedness is a big part of it, but it’s more to do with the fact that the event is incredibly prepared. The folks over at the Social Media Command Center are putting serious social horsepower behind this year’s Super Bowl, and they’re ready for whatever the internet throws at them. The Super Bowl Social Media Command Center covers all aspects of fan experience, from tweeting parking directions to letting fans know what’s happening and where, and how they can best capture and publish it. The team is even on standby to provide information in case of disaster.